Home » What makes a good moving company? Moving can be a very stressful time. There are many details to coordinate in addition to packing and getting your home cleaned and organized for the transition. 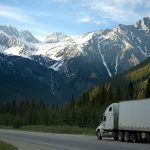 Hiring a moving company can alleviate much of the stress, but it is important to do your research, so you know that you know that you are hiring a good moving company. Here are some things you should look for. Take notes on how well you have been treated over the phone, via e-mail, or at the front desk if you visit the moving company in person. Companies that value their customers will be friendly and treat them with kindness and respect, answering their questions to the best of their ability. If you are made to feel like an inconvenience, if they cannot answer your questions promptly, or if they appear disorganized, this should raise a red flag. The internet is full of online reviews, so you should be sure to check the number of positive versus negative reviews there are on the potential company. Specifically look for any issues reported about negative experiences with customer service or with broken items during the move. 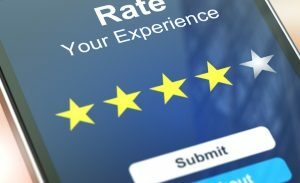 Online reviews can be very valuable in providing the public with a well-rounded view of how the company deals and interacts with their customers. Moving can be expensive and when you’re researching moving companies, compare rates and price structures to be sure they are transparent, with no hidden strings attached. Research what the moving companies include and see if it is comparable to what others offer. Be sure you know what you get for the price you are paying and do not be afraid to ask for quotes. If the moving company you have read about is not insured or licensed, do not hire them. Only companies that are officially licensed and insured are legally bound to protect your property. In addition, the moving company should employ a team of trained professionals that know how to move customer’s valuables with the utmost attention to detail. Quality should be their standard, from start to finish. Our business is to make your move as smooth as possible, so if you’re planning to a move to a new apartment or home, check out our services and rates to see how we can help. We are standing by to talk to you about the specific details of your move!